We welcome our sweet Úrsula !!! Her mission in this Halloween is to get as many candies to create a magic potion in her cauldron. A potion that according to the legend, will allow her to convert everything her touch into candy … Will get it??? 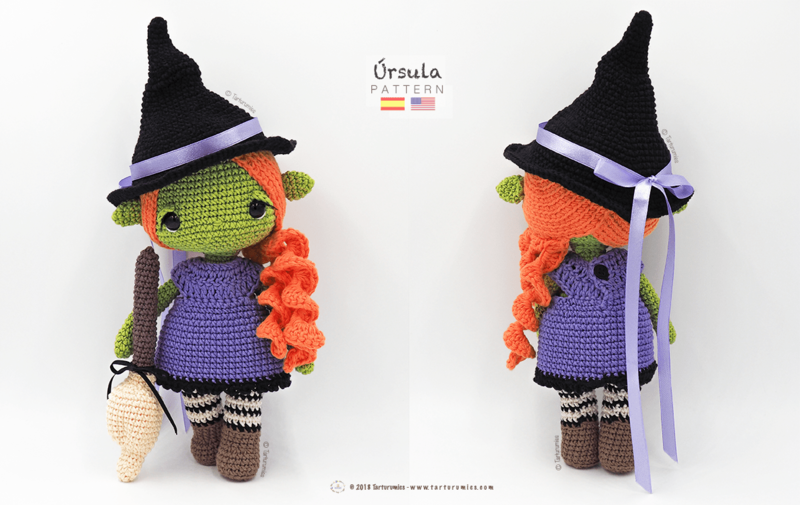 By purchasing this article you’ll receive a PDF with the step by step in 23 pages where you’ll find more than 80 photographs, all very detailed to make your Witch Úrsula with her broom amigurumi. Our patterns are very clear and well organized so you can follow each step with more peacefully. 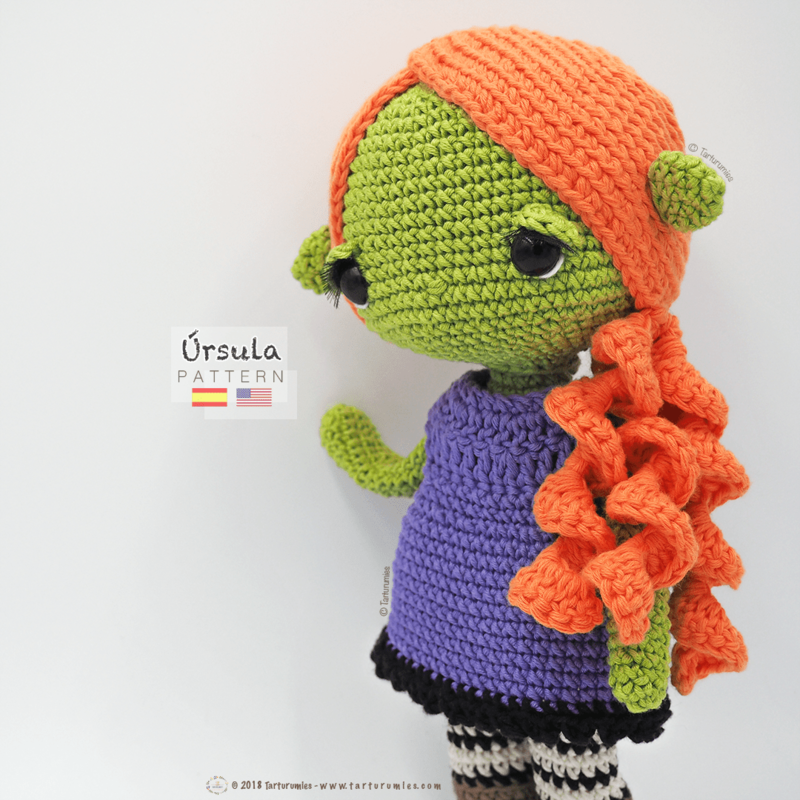 Úrsula is about some adorable 24cm high (9,45 inches approx.) and has a wire structure inside to make her articulated. What do you say? Do you dare to have your own Úrsula?